Nintendo announced last year that it would bring the NES Classic back in 2018, but the company didn't say when. It left the Mario-loving people of Earth twiddling their thumbs uselessly. On Sunday, the thumb-twiddling came to an end. 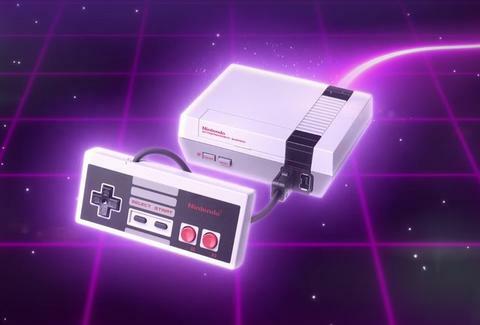 Nintendo announced the miniature throwback consoles will be available in US stores again on June 29. By mid-summer, you'll be able to get your hands on the NES Classic and the SNES Classic. Availability was a major issue when the system was first released. It was nearly impossible to get your hands on unless you were willing to pay double the retail price on eBay. (The SNES Classic release went about the same, but with pre-order issues as well.) This time, it sounds like the console should be readily available with Nintendo tweeting that both the NES Classic and the SNES Classic "are expected to be available through the end of the year." The console comes loaded with 30 of the original Nintendo games, including Super Mario Bros., Donkey Kong, and Kirby's Adventure. Now that you can finally get your mitts on an NES Classic, all that's left is to patiently wait for that GameBoy Classic announcement that may or may not be coming.